Kiddo has been interested in using the scissors lately, and it’s good practice for those fine motor muscles. 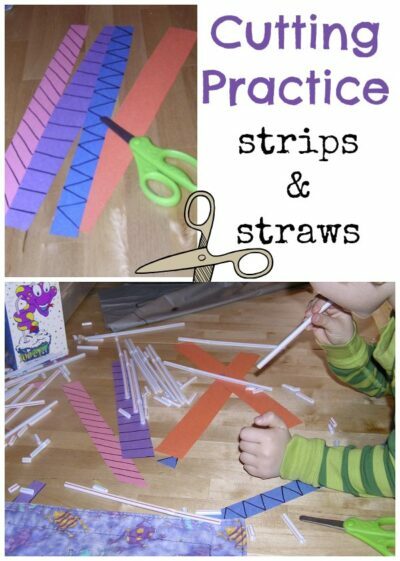 I cut up some long strips of paper and drew different types of lines down them for him to follow. One strip I left blank so he could cut the paper however he wanted. Do you know what else is fun? Cutting up straws!!! 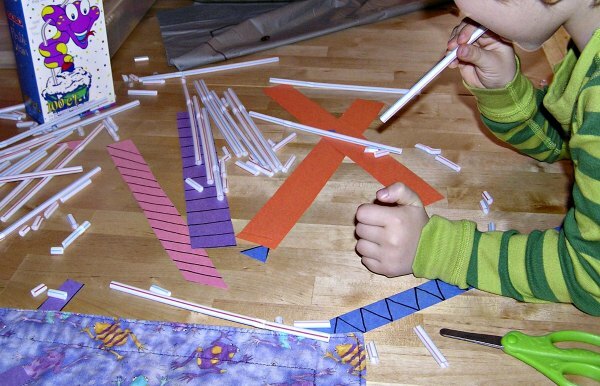 I’m not fond of the plastic waste cutting the straws created, but I saved the little bits and we can use them in an arts and crafts project later. This is brilliant because when you cut the straw it pops off wildly and thus is highly entertaining. Also, you can use one of the straws to blow all the little pieces all over the place. I’ll refrain from showing the aftermath of this activity. As it was an excellent distraction for Kiddo, I was not in the least concerned about the total mess it made.